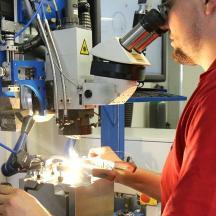 Competencies: laser cutting, laser welding, marking, HSC milling, 5-axis milling and turning. 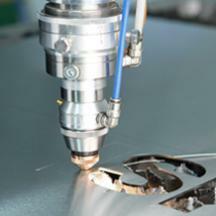 range from laser cutting, laser welding, and laser marking to HSC milling, 5-axis milling and turning. 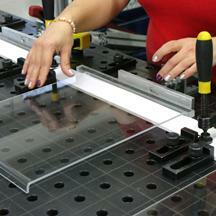 Laser cutting of acrylic glass, metal, wood, and other natural. 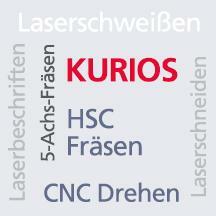 Laser material processing of acrylic glass, metal, non-ferrous metal, wood, other natural materials and much more. Three-dimensional thermal separation process for various materials. Thermal separation process for 3D contour cutting of semi-finished parts made of different materials. 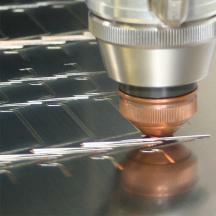 Laser welding of aluminium, premium steel, titanium, and other metals. Permanent joining of aluminium, premium steel, titanium, and other metals made possible by finest welds with or without filler material. 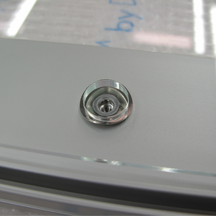 Laser marking logos, graphics, and letterings on various materials. Logos, graphics, and letterings on various materials – near endless possibilities. Machined separation process with highest precision and brilliant results. Machined separation process with highest precision, brilliant results, and a high efficiency. 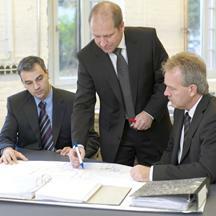 Benefit from our extensive expertise. Machined production: 5-axis simultaneous processing. Machined production with 5-axis simultaneous processing. Finished products with complex contours in one setting on one machine. 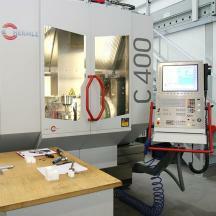 Latest CNC turning technology for machined processing of metals and plastics. 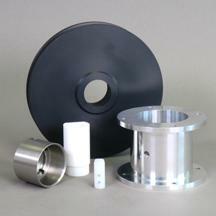 Latest CNC turning technology for machined processing of engineering plastics, light metal, premium steel, and steel. All colors and textures of lacquering inside our industrial paint booth. We can handle all colors and textures of lacquering in our industrial paint booth. A perfect result is guaranteed. Bending, drilling, polishing, grinding, adhesive bonding, abrasive blasting. Bending, drilling, polishing, grinding, inserting studs, adhesive bonding, satin finishing, abrasive blasting. KURIOS can do a lot - and now even more. High-strength welding jobs for measuring instruments that are able to defy even temperatures below -50°C (-58°F). 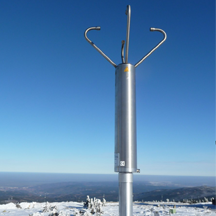 High-strength welding jobs on premium steel for measuring instruments that are able to defy even Arctic weather and temperatures below -50°C (-58°F). 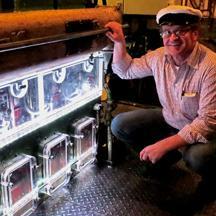 Restoring engine parts of the historic passenger ship "MS Tonne". Restoring ship technology and engine parts of the historic passenger ship "MS Tonne", built in 1960. Fine-sounding task for KURIOS. HSC milling and laser processing of wood mastered with perfection. Fine-sounding task for KURIOS. Laser cutting, HSC milling, and laser marking of wood mastered with perfection. 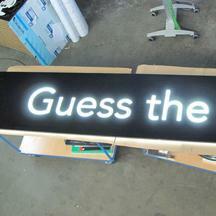 Illuminated advertising for the set of "Guess the Car" with latest LED technology. Illuminated advertising for the set of "Guess the Car". New and individual creative possibilities due to latest LED technology. Excellent acoustics due to laser-cut acrylic glass. 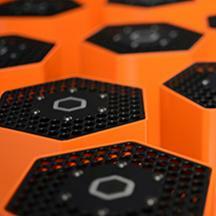 Sound-absorbing effect thanks to demanding geometries. Laser-marked multifunction wall of the hotel "Superbude" in Hamburg. 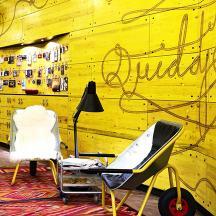 Laser-marked multifunction wall made of yellow wood panels that is integrated into the most important functions of the hotel "Superbude". 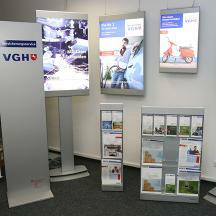 Brochure stands and illuminated displays with latest LED technology at VGH's sales offices. Brochure stands and illuminated displays with latest LED technology for interior design purposes at VGH's sales offices in Lower Saxony. MAYA – the ingenious server by Protonet. KURIOS manufactures the entire design piece. MAYA – the ingenious server by Protonet. 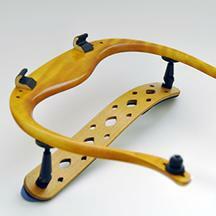 KURIOS manufactures the entire design piece by combining diverse services. 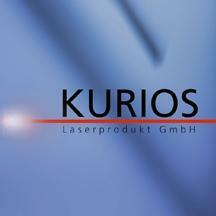 Uncompromising quality, support, and punctual delivery from KURIOS Laserprodukt GmbH. 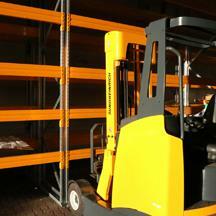 Four separated production areas with specialized fields of responsibility and machinery. Four separated production areas with specialized fields of responsibility and different machinery. Short image films and information clips during manufacturing from our production facilities. 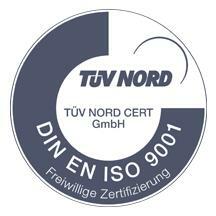 Our entire material processing production is certified in accordance to DIN EN ISO 9001:2008. 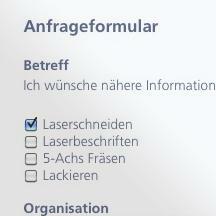 Four times a year, we will send out a newsletter with relevant and important information to our customers. Click here to see current vacancies and read all about our everyday working life. 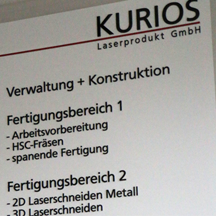 Click here to see current vacancies and read about everyday working life at KURIOS Laserprodukt GmbH. 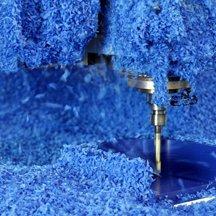 We will gladly use our extensive experience in the field of material processing to support you. We are pleased to use our long-term experience in many fields of material processing to advise you along the way to your finished product. 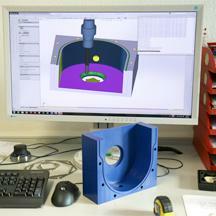 Your product will be designed and programmed offline using cutting-edge CAD/CAM technology. Your product will be designed and programmed offline using cutting-edge CAD/CAM technology before it enters our production area. Four specialized production areas enable us to always use optimal technologies. Four separate, specialized production areas enable us to always use optimal technologies. 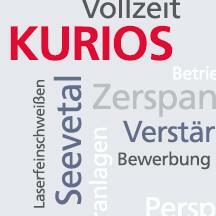 KURIOS offers to store your finished products until delivery. As an additional service, KURIOS offers to store your finished products until delivery. 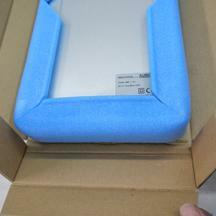 Shipped in a standard cardboard box or in custom-made packaging. Naturally, we are thoroughly taking care of your product. 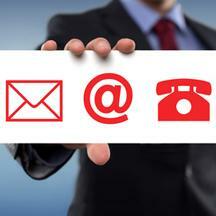 Our contact information, phone number, e-mail address, and directions. Here is our contact information, phone number, e-mail address, and directions, so that you are always able to reach us. 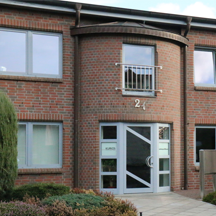 If you are interested in our services, you have the opportunity to send us a direct inquiry. If you are interested in specific services of ours, you have the opportunity to send us a direct inquiry.